After the early part of summer in humid flat New Hampshire with some decent fast shorter races and the Maine Trail Running Festival 25k I am out in Utah for several weeks. A few days after arriving I ran the Canyon to Canyon Half Marathon. A beautiful dirt road out and back course along East Canyon Creek near Park City. In part it follows the California and Mormon Trail route of the 1840's. I ran a 1;43 and finished 1st in my old guy's age group. Shoe of choice for the day the Hoka Huaka, reviewed here. No complaints at all. This is one versatile shoe, equally adept on road or trail. 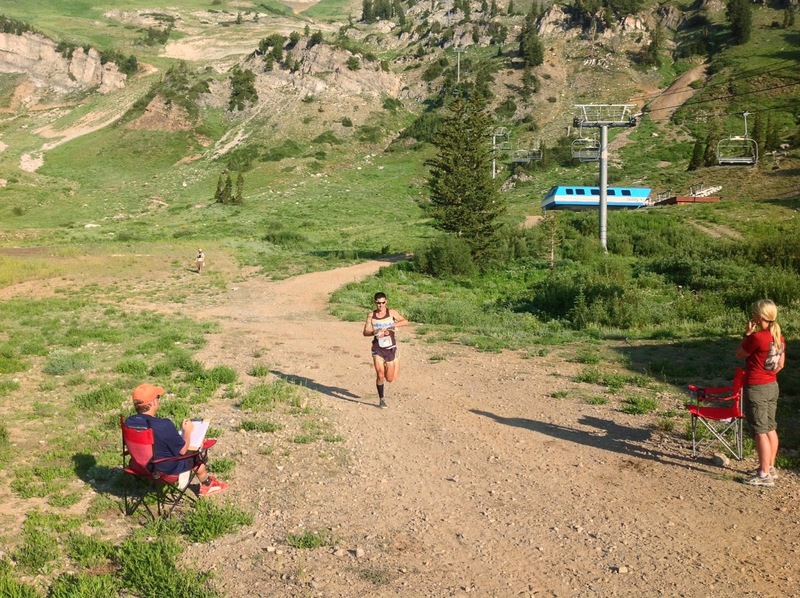 The following week I assisted iRunFar.com with their race coverage of the SpeedGoat 50K from "Larry's Hole" aid station the bottom of Mineral Basin at miles 10 and 20. What an exciting race. My blog post for the race with photo album is here. 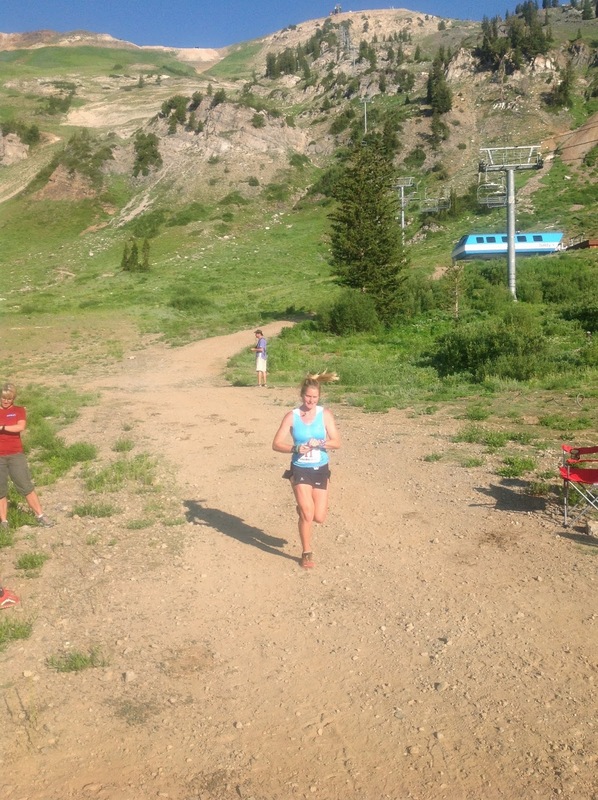 I ran hiked up and over Hidden Peak in the New Balance 980 Fresh Foam Trail. 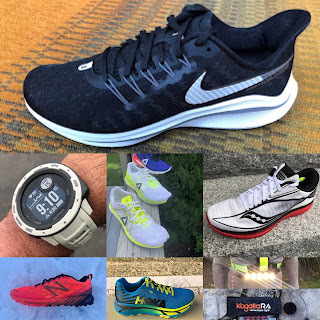 This is one fine technical trail shoe: supportive upper, smooth running on all surfaces, good grip without that I got lugs in the way feel on smoother trails and even roads. My go to shoe this summer when the trails are rougher and the miles longer. My earlier review here. Anna Frost came from behind for the win. 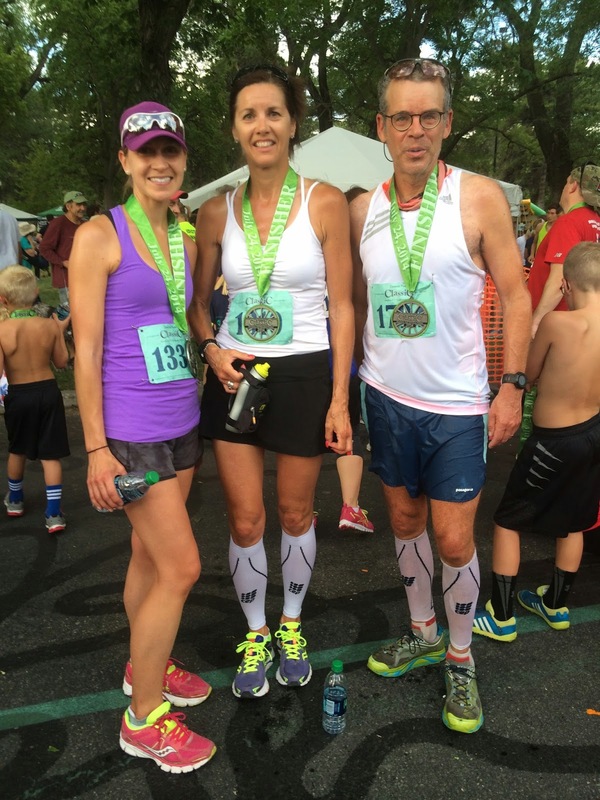 This past Thursday I ran the Deseret Half Marathon in Salt Lake City. The course is downhill and actually follows another section of the California and Mormon Trails. It was in the high 70's at the 6AM start but didn't get much beyond 80 at the finish as some cloud cover came in to shield the sun. It still was warmer than I like for a half. I ran 2 minutes or so faster than last year with a 1:36.12 and was first in my age group. Shoe of choice for the downhill course the Hoka Huaka, a perfect choice. As with all my races this month wore the adidas Climachill tops and never felt over-heated. They are onto something. Climachill review here. Friends Wendy and Krystina also ran very well. Wendy also finished first in her age group with Krystina, in a very tough "younger folks" category, placing 6th. My friend Bryon Powell of iRunFar was in Park City so we got together for an 11 miler on the trails and bike paths in Round Valley this past weekend. We staged this fun shot. Round Valley Park City. Photo Credit: Bryon Powell iRunFar. Next up the Park City Half but before that more miles of trail and road run. 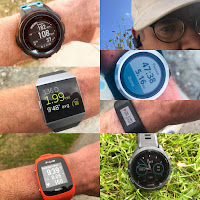 I checked your post Mid Summer: Runs, Races, Shoe and Gear Updates while I was searching for the gear and footwear. I am impressed with your work that you have done beautifully to write this amazing blog.